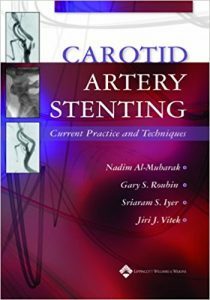 Written by internationally recognized experts in interventional cardiology, this comprehensive clinical reference on carotid artery stenting provides illustrated, step-by-step descriptions of techniques and details on indications, contraindications, patient selection, complications, technology, and clinical trials. The first section reviews clinical results and experience, including the CAVATAS trial findings on stroke prevention. 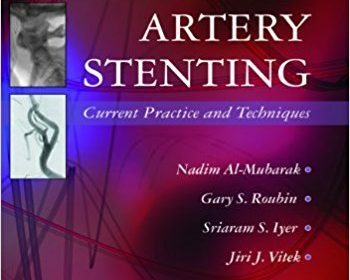 The second section describes stenting techniques and includes information from major trials on design and application of devices. The third section presents guidelines and current regulations on establishing a carotid stenting program. The book concludes with a preview of future directions. 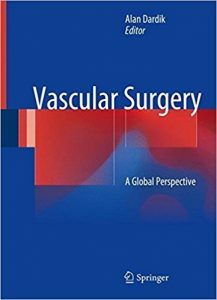 Vascular Surgery: A Global Perspective provides the first review and comparison of the diversity of vascular surgery practice around the world. The book is grouped according to common vascular diseases such as aneurysmal and occlusive arterial disease, as well as venous and lymphatic disease and dialysis access. Each major disease topic includes multiple chapters written by expert specialists from around the world, each discussing their local approach to the disease and its treatment. Similarly, the status of vascular surgery practice is addressed, including discussion of the influence of payment systems on practice, patient access to the internet for information, training paradigms, and the legal system including malpractice. 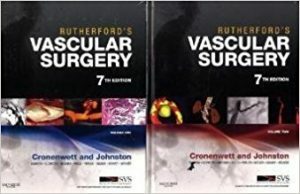 This textbook provides the first worldwide summary of the care of patients with vascular disease and will be of interest to a wide audience including vascular surgeons, vascular medical specialists, cardiologists, radiologists, internists, and family practice physicians. 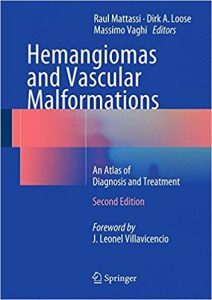 Since the first edition of this book was published, much new knowledge has been gained on hemangiomas and vascular malformations. This revised and updated second edition, written by worldwide leaders in the field, fully reflects this progress. Important improvements in the treatment of hemangiomas are reviewed, including the use of beta-blockers and other medical therapies as well as advances in interventional treatments and the treatment of hemangiomas in specific locations. Vascular malformations are being investigated with increasing frequency all over the world and new challenges are emerging regarding both diagnosis and treatment. This edition considers the current role of the full range of diagnostic imaging techniques –magnetic resonance imaging, computed tomography, nuclear medicine techniques, angiography, and phlebography. The various treatment options, including laser, interventional radiological, and surgical techniques, are then presented in detail. A further individual section is devoted to the study and treatment of lymphatic malformations and dysplasias, and a series of chapters also focus on problems in the treatment of malformations in particular locations, including the thorax and viscera. 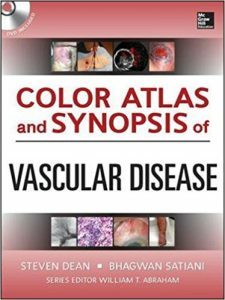 This book, in atlas format, is exceptional in providing clinically relevant information on the diagnosis and treatment of both hemangiomas and vascular malformations. It will appeal to all professionals who encounter these conditions in their daily clinical practice. 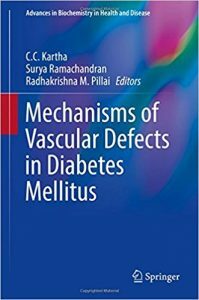 This book comprising 24 chapters is devoted to the mechanisms for the pathogenesis of the spectrum of vascular diseases in diabetes. Cellular events and molecular pathways that regulate the structure and function of both small and large arteries, the dysregulation in these vessels caused by hyperglycemia, oxidative stress, metabolic and haemostatic derangements secondary to diabetes, are discussed. Mechanisms of vascular remodelling and rupture of atherosclerotic plaques in diabetes are also covered. Several of the reviews also discuss therapeutic targets and drugs employed to reduce endothelial dysfunction and vascular inflammation in diabetes. All articles are authored by experts in their respective research fields. 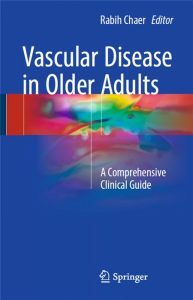 This compendium will be of interest to both basic scientists and clinicians in the pursuit of unravelling the molecular basis of vascular diseases and also to those who seek to identify targets for therapy of vascular complications of diabetes. Dr. Chandrasekharan C. Kartha is an Honorary Distinguished Professor in the Division of Cardiovascular Diseases and Diabetes Biology at Rajiv Gandhi Center for Biotechnology at Thiruvananthapuram, India. He is a pathologist by training and has made significant contributions to the understanding of the cellular and molecular mechanisms of vascular diseases and endomyocardial fibrosis, a tropical cardiomyopathy. He is an elected fellow of Royal College of Physicians (London), International Academy of Cardiovascular Sciences, National Academy of Medical Sciences (India) National Academy of Sciences (India) and Indian Academy of sciences. He has served on the editorial boards of several journals and in grant review committees of several India government agencies funding medical research and science and technology activities. He has organized several national and international conferences on cardiovascular themes and has been an invited speaker at several national and international meetings. He has published more than 120 papers in refereed journals, 15 chapters in books and edited 5 books. He is the current President of Academy of Cardiovascular Sciences, the India section of International Academy of Cardiovascular Sciences. 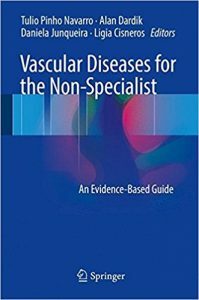 This book aims to provide non-specialist healthcare practitioners with current, focused and objective information on the most common vascular diseases encountered in daily clinical practice. In day-to-day clinical practice many healthcare practitioners do not have a working knowledge of the most common vascular diseases that frequently arise in patient care. Some of these topics include: aneurysms, peripheral arterial disease, diabetic foot, venous thromboembolism, cerebrovascular disease, aortic dissection, and acute limb ischemia. These commonly encountered vascular diseases are becoming public health issues due to their high morbidity and mortality as well as increasing healthcare costs. Since patients with vascular diseases are often referred to non-specialists, the general practitioner must know how to proper handle the most common vascular diseases encountered in daily clinical practice. For each disease the concept, epidemiology, natural history, diagnosis and treatment are described, followed by essential advice on what the non-specialist can do for the patient and when to refer the patient to a specialist. Tulio Pinho Navarro: MD by the Federal University of Minas Gerais (UFMG), Brazil (1990). Residency in General Surgery and in Cardiovascular Surgery by the Clinics Hospital-UFMG (1992 and 1994). Board certified in Vascular Surgery (1995), Peripheral Vascular Ultrasound (1998) and Endovascular Surgery (2003). PhD in Medicine/Surgery by UFMG (2004). Professor of Surgery at UFMG, Head of the Vascular Unit of the Clinics Hospital-UFMG. Full member of the Brazilian Society for Vascular Surgery. Director board member of the International Society for Vascular Surgery (2015-2016). Alan Dardik: Intern and resident in Surgery (1993-2000), NIH Postdoctoral research fellowship (1995-1997), chief resident in Surgery (1999-2000), clinical fellow in Vascular Surgery (2000-2001), The John Hopkins University Hospital, Baltimore, MD, USA. Member of the interdepartmental program in Vascular Biology and Therapeutics (2003 to date), Assistant (2001-2008), Associate (2008-2013) and Full Professor (2013 to date), Vascular Surgery, Yale University School of Medicine, New Haven, CT, USA. Attending surgeon, Director of the Non-invasive Vascular Laboratory, Section chief – Vascular Surgery, Director – Wound clinic, VA Connecticut, West Haven, CT. 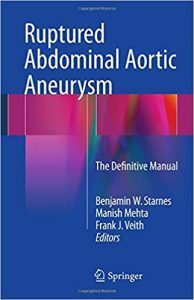 This manual is designed to serve as the standard for the management of patients with ruptured abdominal aortic aneurysm (AAA) by means of modern techniques. All aspects are covered, from pathogenesis, clinical presentation, and diagnosis through to initial management, operative strategies, postoperative complications, outcomes and quality of life issues. The book is based on the experience gained at a leading U.S. institution (Harborview Medical Center, University of Washington) that treats up to 40 patients with ruptured AAA annually and is highly respected for its expertise in this medical emergency. The team at Harborview Medical Center has recently shown that the implementation of a structured protocol for the management of ruptured AAA, with emphasis on an “endovascular-first” strategy, dramatically reduces mortality and complications. This has led to a sea change in the way in which patients are managed. There is an increasing hunger for information on these codified protocols and Ruptured Abdominal Aortic Aneurysm: The Definitive Manual will be invaluable for both surgeons and critical care physicians. Combines the largest existing database of military vascular trauma with the experience of one of the nation’s premier civilian trauma centers. 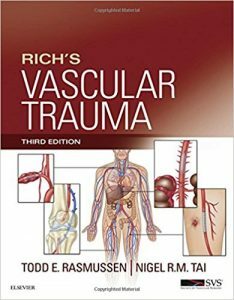 Examines operative techniques and “damage control” for vascular traumas.